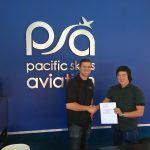 Pacific Skies AviationAbout usWhy PSA? Well, let me, as a flight school owner, start by sharing my personal background. 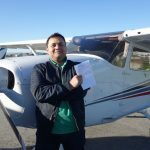 I started in aviation back in the 90’s with no specific direction other than “I would love to fly an airplane one day!” At the time I started I got passed around to over a half dozen instructors. I thought they were all Gods, the best of the best, Ace of Base. Now decades later I look back and think it’s criminal how and what they taught me. But I just didn’t know any better. I spent thousands of borrowed money doing unplanned tasks, with zero guidance, and with strange and dangerous practices. I vowed that one day when I would become an instructor, let alone a flight school owner, I would change everything about how I learned, and commit to giving students what I’ve learned they would need after years of teaching and flying for the commercial airline industry. I hope we come to serve you well, and always work to improve how we do it. I’ve taken years of learning specific methods that simplify learning how to fly and created a personal visual method of flying. Most books and instructors emphasize a very instrument driven method of learning. 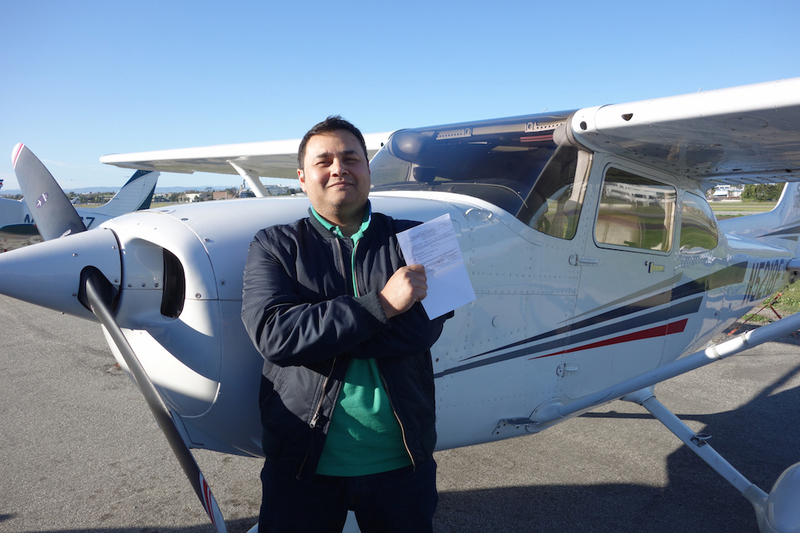 But getting your license you are going to be flying VFR: Visual Flight Rules. You’re supposed to be looking outside 80-90% of the time, so we teach you how to fly that way. It’s almost a dumbed-down Mickey Mouse way of teaching that you may first find silly, but quickly realize how simple it is to climb, turn, descend, and hold altitude. And landings, which are the most difficult part of your course, become once again very simplified and with so much less emphasis on staring at instruments that you’ll just chase to frustration. 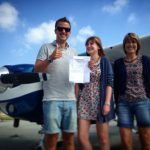 As we progress through the syllabus, you’ll notice it’s broken down to three stages; Everything you learn up to solo (flying the plane by yourself! ), solo cross country (flying to a destination that’s at least 50 miles away by yourself! ), and final exam preparation. Before you move on to each stage you’ll be scheduled to have a lesson with either the Chief or Assistant Chief instructor. They’ll be able to help assess if you are ready to move forward to the next stage, and more importantly give you an evaluation with any tips and tricks to improve areas you’re having difficulty with. It’s an extra pair of eyes to oversee your training, and make sure the instructors are all doing exactly what they’re supposed to. When we bring on a new instructor, we spend the first week getting them familiar with the way we teach. 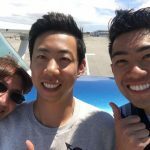 They’ll go through the syllabus in detail, learn all our visual references, become familiar with our local area and airports, become proficient in flying every type of airplane we use in training, and more. We do this so that if ever your schedule demanded that you need more than one instructor, the transition would be seamless, and keep you moving forward without reevaluation. They all have different personalities, but the basic foundation and how they teach will be the same. We know that students sometimes struggle with their instructors running off to the airlines before they complete your training. 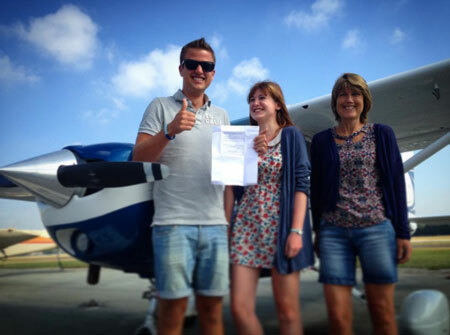 We’re actually very excited for them to get to this milestone, but you’ll always have senior staff that can help assist with any aspect of your training; from stage checks to evaluation flights, spot checking your training or assisting in problem areas, you can always request a lesson with us that puts any necessary issues or concerns behind you. If you fly about once a week, you fall into the national average of getting your license in about 70 flight hours, which will take about 9-12 months. 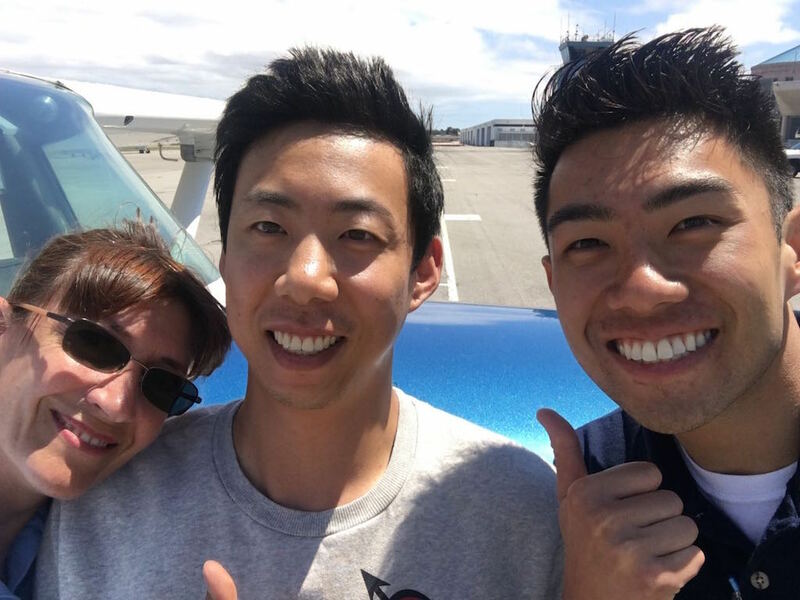 On the other hand, if you had the time away from work, you could request we enroll you in an accelerated training program that would allow you to take a minimum of ten lessons per week (scheduled however you want) that allows you to receive your private pilot license in about 6 weeks! If you have your pre-requisites met for your Instrument Rating (about 40 hours of cross country time/flying to airports more than 50 miles away), you can usually get your IFR rating in as little as 3-4 weeks. We can help build a personalized schedule that works with your availability. In addition, you can receive a price break on the hourly cost of the airplane and flight simulator while enrolled in an accelerated program. Very often, we hear from new renter pilots that come from other flight schools – “You guys have the nicest airplanes I’ve ever flown!” It makes us proud to know we keep our planes not only in compliance with required maintenance, but we also volunteer to have our airplanes go through mid-time non-required maintenance. We have a great maintenance facility just across from us that are incredibly responsive to even the most minor screw that is loose, and often stay overnight to finish an inspection to keep our airplanes flying without interrupting busy schedules. When we built PSA we decided to get away from your dirty hangar type flight school, or training in tight little cubicles. We have a beautiful outdoor patio to relax, study, or conduct a ground lesson. An indoor lounge to relax before lessons. An advanced full-motion flight simulator that can be used in many aspects of private through instrument training. Water, coffee, tea in our kitchen area to bring in your own food for between lessons. A quiet computerized testing prep area to work on any knowledge exam you may be studying for. A fully stocked pilot supply store. We never ask for money up front, or ask students to put money on account. 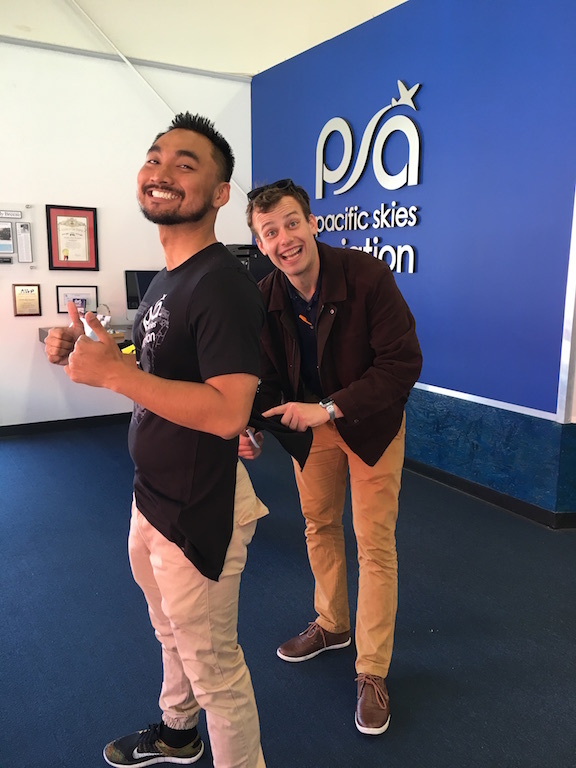 We actually encourage you to rethink ever doing so at any flight school! We’ve seen flight schools close overnight without a way for you to get your money back, or make it near impossible to get your money if you decide to go to a different flight school. With our paperless system you simply keep a credit card on file with a very secure system that does not store your information onsite. Account invoices can always be accessed from your online account, and you’ll see exactly what you’ve paid for. 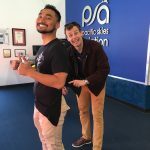 PSA now has a list of elective classes you can take to improve your current skills or help grow to new ones..
Why we like training at Torrance Airport! We invite you to visit our friendly facilities, featuring a VIP pilot’s lounge, seminar and training rooms. Located right next door to the Western Museum of Flight, you can complete your aviation adventure with a relaxing break on our one-of-a-kind picnic patio, watching aircraft takeoff and land in the golden California sun. 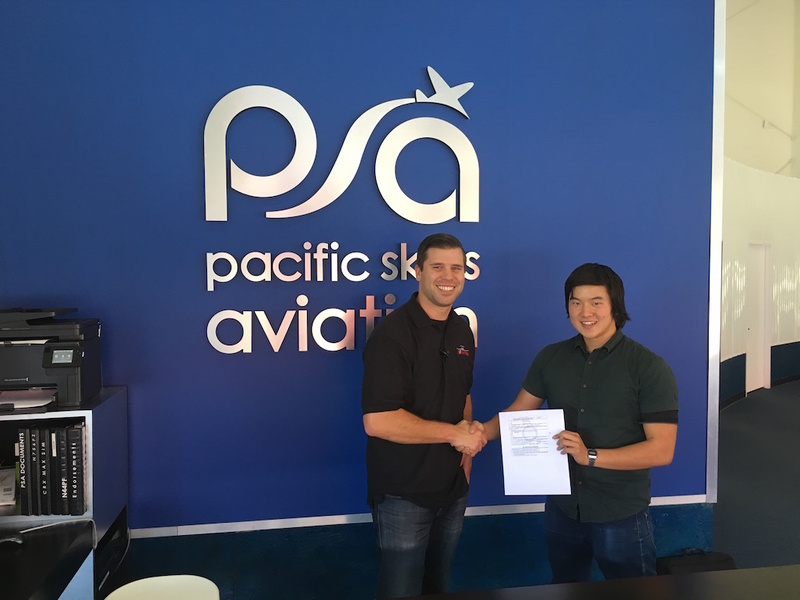 Centrally located between Los Angeles and Orange counties, Pacific Skies Aviation calls Torrance Airport home. Located just off the deep-blue coast of the Pacific Ocean in Southern California, your flight is just minutes away from some of the world’s most breathtaking scenery–from mountains, to islands, to deserts and glittering cityscapes. After reading our mission statement and looking through what we offer our students, we hope you begin to get the feel for who we are, and what we strive to offer. Above all else, we are enthusiastic teachers, sharing our passion and commitment to doing things right. Always striving to do better, whether it be new ways of teaching, introducing new equipment or improving how we organize our operation to make things more efficient. You, our students are our focus, and what is most important.